King Abdullah II was met by either tossed bottles and stones, or a warm welcome, on a visit to Jordan’s south on Monday, according to conflicting reports from government officials. A security official said a crowd of youths flung objects at the monarch’s motorcade in two incidents in the town of Tafila, 200 kilometers (125 miles) south of Amman, just a day after Abdullah bowed to popular demands for an elected prime minister. This official, insisting on anonymity because he is not authorized to discuss royal matters, said the king was unharmed. It wasn’t immediately possible to reconcile the two versions, and further details of any attack were not immediately available. Abdullah was on a fact-finding trip to inspect infrastructure projects and hear his subjects’ demands. As violence has rocked other authoritarian countries across the Arab world, it has been rare in Jordan, where pro-democracy protests in recent months have generally been confined to relatively small and peaceful demonstrations in this key U.S.-allied nation. On Sunday, acceding to a major demand of those protests, Abdullah announced he would accept elected Cabinets in the future, replacing a system under which the king appointed the prime minister and other ministers. He did not give a timetable, saying that sudden change could lead to “chaos and unrest” in Jordan. It was the first time that King Abdullah II has made such a concession to demands he loosen the monarchy’s absolute grip on power. In the televised speech, marking his 12th year as ruler, Abdullah said that future Cabinets would be formed according to an elected parliamentary majority. He did not say when the change would take place, but suggested that it would come after relevant laws are in place. When Abdullah ascended to the throne in 1999, he floated the idea of a constitutional monarchy similar to the British model, but little was said in the intervening years. As pro-democracy revolutions swept through the region this year, however, he, too, faced increasing pressure to speed up reforms or risk serious unrest in his tiny kingdom. Many Jordanians are demanding a new parliament to replace one viewed as docile, based on an electoral system skewed to support the Hashemite monarchy. 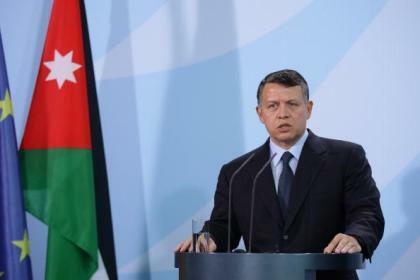 In the past, Abdullah has said that he wants to see Jordan’s splintered 33 political parties merge into three blocs from which Cabinets could be formed. Abdullah said Sunday the changes would be implemented based on the recommendations of a national dialogue committee, which recently proposed laws governing elections and political parties. The committee is also reviewing economic legislation to tackle official corruption, nepotism and bureaucracy. The Jordanian government has lifted restrictions on public assembly, allowing protesters to demonstrate freely. But it has said it needs time to enact laws on political freedoms, including those addressing elections and political parties. In February, at the outset of protests, Abdullah sacked his prime minister, responding to protesters’ demands that he was insensitive to their economic hardships.